A World War II veteran, Prince Philip, Duke of Edinburgh has been a key figure in British government and is well-known for his sometimes offensive commentary. He is the spouse of Queen Elizabeth II. 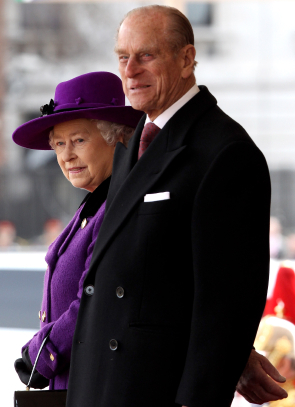 Over 90 years of age, Prince Philip is the oldest spouse ever of a reigning English monarch. His awkward commentary aside, Prince Philip is a constant companion and counselor to his wife. After rebuking his titles as prince of Greece and Denmark, Philip married Elizabeth at Westminster Abbey on November 20, 1947. Many questioned the Queen’s choice of companion. His father was sentenced to death for abandoning his post and later exiled. His mother was committed to an insane asylum for schizophrenia when Philip was eight. His own sisters were banned from the wedding because they had married German men with apparent Nazi affiliations. These combined factors made the people of England uneasy about Philip and made politicians wary of public backlash. While not an easy role, Prince Philip sometimes pulled the light away from his royal spouse. At first, Philip was not even permitted to give his children his surname, but Queen Elizabeth later made a concession for his difficult position and decreed that their heirs would inherit Philip’s surname, Mountbatten-Windsor. Queen Elizabeth and Prince Philip have four children: Prince Charles, Princess Anne, Prince Andrew and Prince Edward. Philip was well-known as a caring father and protector. It is well documented that Prince Philip is a straight-forward man. Philip often receives criticism for his blunt remarks. “I know he has a reputation for making seemingly offensive remarks, but I don’t think there’s any malice in what he says. He meets people that are often very nervous about meeting him and other members of the Royal Family and I think he just tries to put people at ease by trying to make a joke. I certainly didn’t take any offense,” said Stephen Menary years later in response to Philip’s comment regarding his tie. There have been different interpretations of Prince Philip’s colorful remarks, ranging from rudeness and superiority to a frank sense of humor. Like Menary, many British citizens choose to make light of Philip’s comments. Nonetheless, in the international community, comments like these have earned Philip the reputation of being sometimes rude, sometimes brutally honest, but always outspoken. Philip was born on the Greek island of Corfu on June 10, 1921. He was the fifth child with four elder sisters. Philip was educated in Paris, the UK, and Germany and excelled at his studies. Prince Philip served in the British Royal Navy before becoming engaged to Elizabeth. He served with the Mediterranean and Pacific fleets and was awarded the Greek War Cross of Valour. He entered the naval service after the death of his uncle and guardian, George Mountbatten, 2nd Marquess of Milford Haven. It was from this uncle that Philip adopted the surname of Mountbatten. Prince Philip had a difficult childhood and this is often attributed as the cause of his straight-forward manner. He left active service after achieving the rank of Commander in 1952 to attend to his duties as consort to the Queen. He helped create the Duke of Edinburgh’s Award in 1956. He was appointed to the Queen’s Privy Council for Canada in1957. He served as the UK President of the World Wildlife Fund from 1961–1982, and International President of the organization from 1981–1996. In addition, Philip served as President of the International Equestrian Foundation from 1964 to 1986. He was also Chancellor of several Universities: Cambridge, Edinburgh, Salford and Wales. In total, he has been a patron of some 800 organizations that provide benefits mostly for education, sport and industry.